There's been a stand-off between police and protestors in Cape Town. 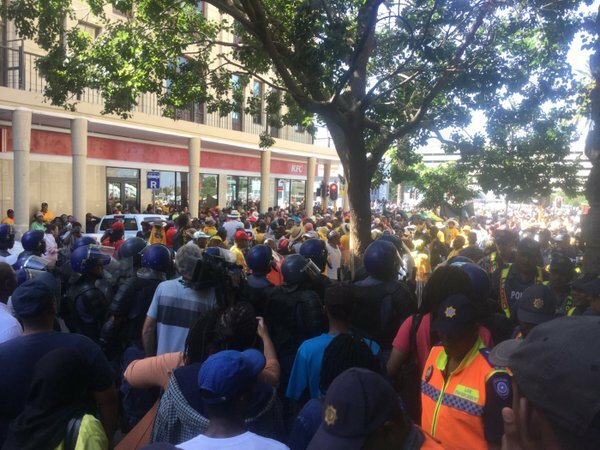 Hundreds of Ses'Khona members gathered in the CBD ahead of President Jacob Zuma's State of the Nation Address on Thursday night. Protestors clashed with riot police after breaking through barricades just a few blocks from Parliament.